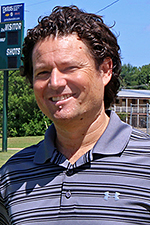 Coach Zach Zellmer begins his first season at PJC this year as assistant coach of the men’s soccer program. This is his first college-level coaching job and he looks forward to helping the team and school achieve everything that they can. Zellmer comes to PJC after graduating from Dallas Christian College in 2017 with a bachelor’s degree. He played soccer while at Dallas Christian College where he was team captain in 2014. While he was on the team, the Crusadors were Southwest Regional Champions, placing fourth at the National Collegiate Athletic Association Championships in 2016. 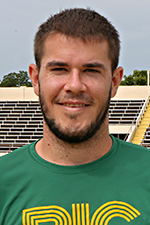 Zellmer was named the college’s Defensive Player of the Year. The team made the Association of Christian College Athletics National Tournament in 2014 and was NCCAA Regional Champion in 2015. Prior to Dallas Christian College Coach Zach played at Central Christian College in McPherson, Kansas from 2010-2011. Zach also played soccer with the DFW Tornados PDL team and other teams around the DFW area. He has traveled all over the United States playing soccer, as well as playing overseas in Australia. His daughter Carter is six years old, lives in the DFW area and looks forward to watching the women’s and men’s soccer teams in action this year.